Outdoor Channel has added HD quality to several of Comcast’s XFINITY TV markets in the state of Utah, including Salt Lake City, Provo, Sandy, Ogden, Logan, Park City, as well as other regions throughout the Beehive State. 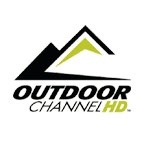 Outdoor Channel HD can be found on Channel 756 for subscribers of XFINITY’s Digital Preferred Tier package. On Channel 406 on the same tier, XFINITY subscribers can also catch Outdoor Channel in standard definition (SD).